A busy lifestyle has meant that sleep has become more important that ever before for me and my family, so with an intense few months behind us, today’s topic couldn’t have come at a better time. We are big sleepers in our house. Weekdays are tough getting out the house on time, but weekends don’t start for us until well after nine o’clock. Even our five-year-old likes to linger in bed (thank the stars!) and when she does get up she creeps downstairs, grabs and apple and turns on the TV while we get in an extra hour of shut-eye. It’s her little ritual that we are so grateful for (we know that all our friends’ kids wake up at sparrow fart, which, and I don’t know for sure, but can only assume occurs around 6am or earlier). Once up however, I have my own little ritual, which I thought I’d share with you. Making the bed. It is the first thing I do each day and something I regard as very important for my sanity, productivity and general happiness. Today I am excited to share with you 3 ways I make my bed each day with Emma. Who’s Emma, you ask? Keep reading. I am often asked whether I make my bed every day the way you see them in my photo shoots, and I must admit, I do. Bed making is said to have profound affects on your mental health. Psychological benefits include the formation of good habits, the promotion of daily productivity, and a better night’s rest leading to a more positive day. A lot of people think I’m bonkers, but apart from my obsessive bed-making being a genetic thing (my mother was an avid bed maker), it is something that I genuinely do every single day regardless of my plans for the day or my mood. Unless I have a) just given birth or b) am dying, that bed gets made. Now, I don’t strive for perfection every day, but I do the best I can with the time I have. Usually my husband makes breakfast while I make the beds, so time taken to straighten the sheets is usually dependant on what he makes for breakfast. Cereal means I have about two minutes to throw the covers up and wrangle unsuccessfully with pillows before throwing my hands in the air and moving right along. Eggs buy me about eight minutes and enough time to do a bit of tucking in, and porridge oats give me a good ten minutes. I have a few set ways that I tackle the task, each varying in complexity and style. But regardless of what I choose, a well-made bed that beautifully beckons me to slip between it’s crispy covers starts with a fabulous mattress, which is where Emma comes in. Meet our new (and dramatically improved) mattress that is as pretty without covers as it is with. Over the course of our nine years together, we have had four mattresses, ranging from downright awful (a single mattress that vaguely resembled a hammock), to an Ikea mattress which served us well until we broke it (yes, broke it) while trying to catch a mosquito (seriously). We slept on that for, like, three years, and it was fine on my side but my husband was effectively sleeping in a ditch. Like all victims of torture, he came to love his torturer, ‘the ditch’, as it was fondly known. But we both knew it was time to ditch the ditch. We bought a mattress from a friend who had used it for just a year but frankly sleeping on our pretty white wooden hardwood floors would have been more comfortable. A year of tossing and turning and then an email arrived in my inbox. When Emma Matras suggested I try one of their mattresses, I tried to reply all cool but basically told them to send me one STAT. Which they did. A few days later, a box arrived at the front door. I can’t lie – I was skeptical about a mattress that claimed to be awesome but came packed inside a box. I just couldn’t quite conceive it. 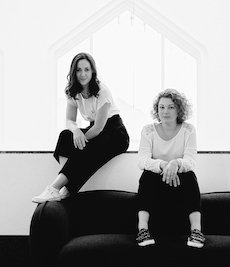 The below GIF we made in the studio will show you that not only do I now believe in boxed up mattresses and their miraculous ways, but I love mine (and also I have very short legs and should generally just stay away from the camera, sorry about that). There you have it. A surprisingly comfortable mattress considering it was vacuum packed and squeezed very tightly into a tiny space. 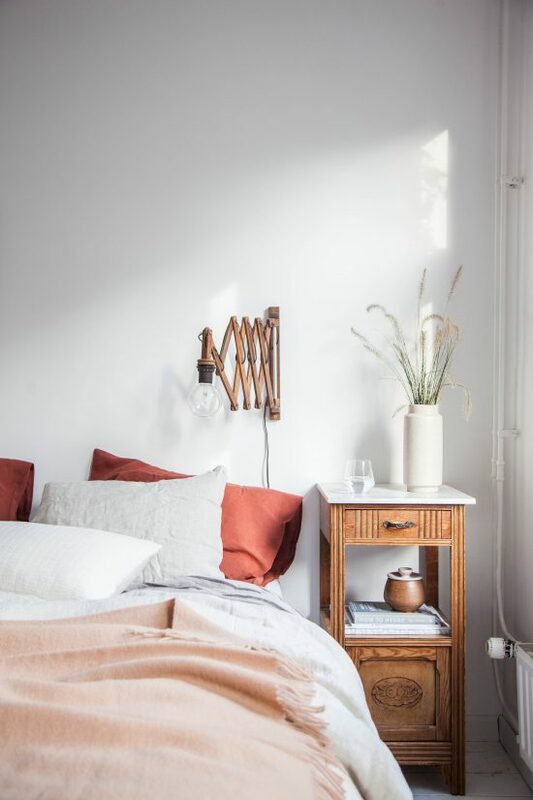 We literally sleep better than we have in years and it has certainly given me some fresh energy to whip the bed into shape every morning. Let’s face it. 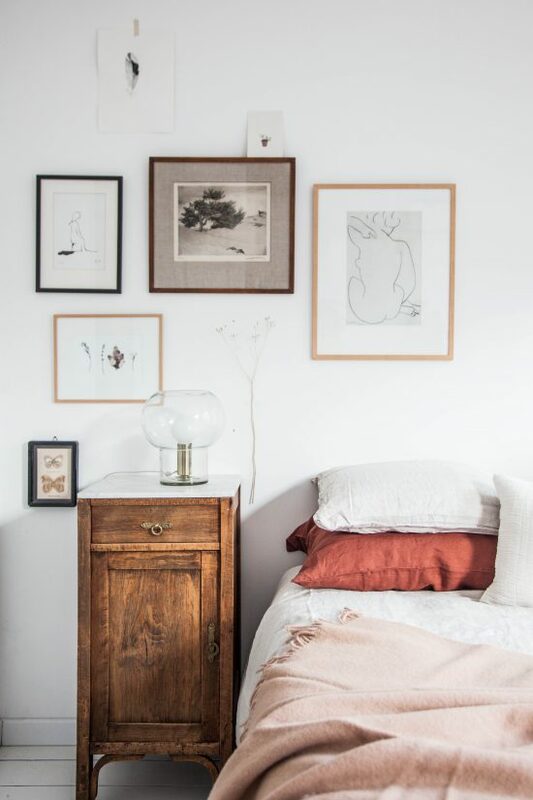 Dressing a bed is so much funner when you a) have a nice bedroom, b) have beautiful bed linens and c) have had enough rest on a good, firm but soft mattress. So without further ado, I thought I’d share with you the three ways I make my bed each day, from a quick two minute job, to the real deal. Let’s go! 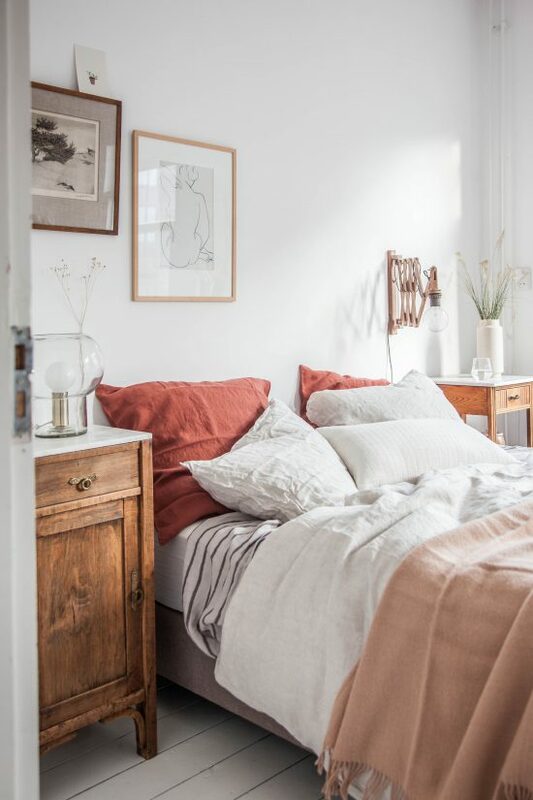 This is one of my favourite looks for photo shoots because it makes the bed look lived in (errr… slept in), there’s loads of texture and it has personality. So it’s both a miracle and a bonus that it takes like one minute to create this disheveled look! The Messy Bed, Don’t Care look is what I go for when hubby is taking a shortcut in the kitchen and serving us cereal and no coffee (because he used up all the milk in our cereal), or worse, when we overslept and we are eating our breakfast while we bike to school! Just as well this look looks awesome, or those kinds of mornings would be all the more painful. 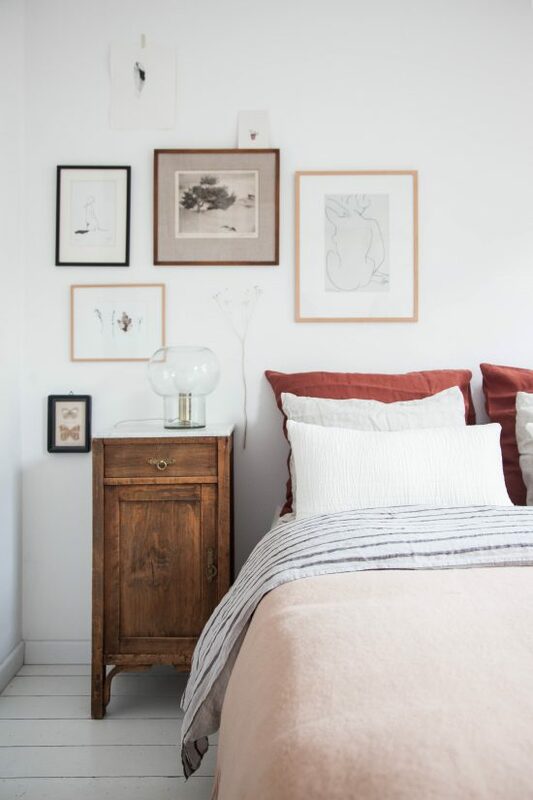 Tip: Linen bed covers are a sure way to fine-tune the Messy Bed, Don’t Care look because they practically BEG you to not iron them and leave all those gorgeous crinkles on display. I do not, under any circumstances, iron my linen duvet cover. Far too time consuming and they only get crinkly when you sleep in them anyway, so embrace the crinkles, people. 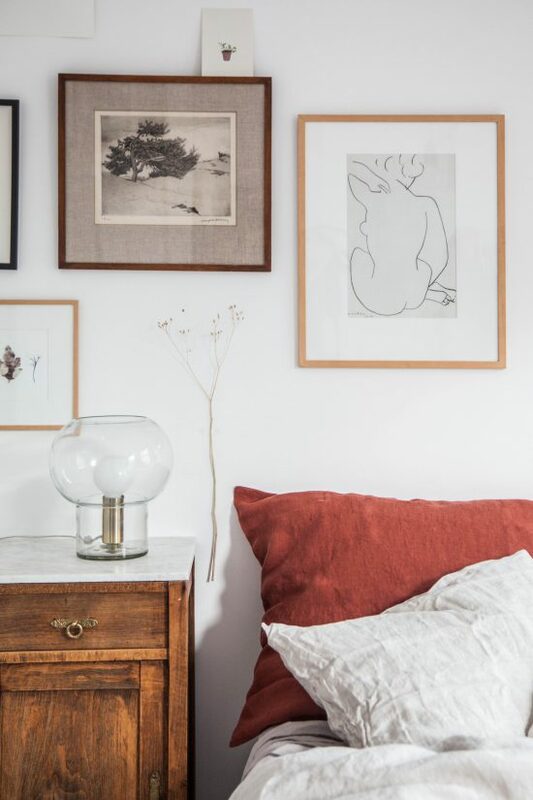 How to: Grab the duvet at the ends, shake it out once and let it rest wherever it lands. Throw the pillows on and race out the door! The That’ll Do is probably my most used method for every day bed making. It’s nicely put together, neat and tidy but it’s not too stiff and perfect. 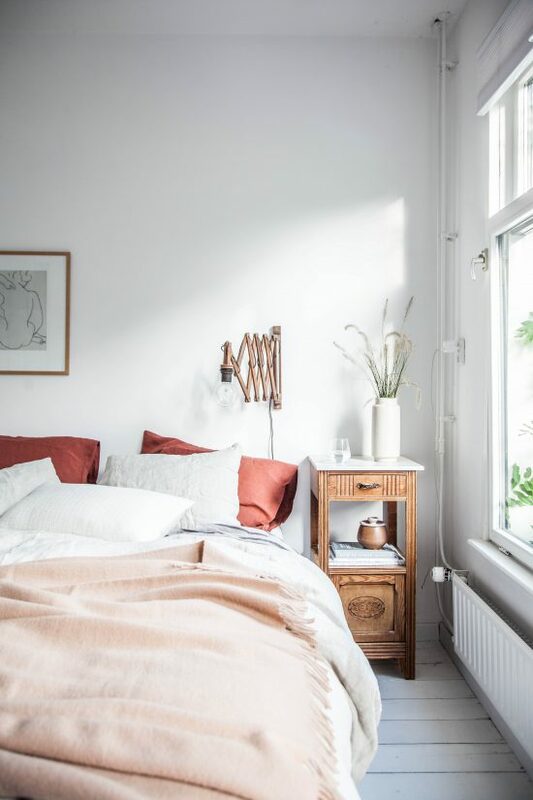 The duvet is all the way up, the flat sheet folded over inside and tucked firmly into the sides of the mattress, the pillows neatly stacked but there’s a degree of ‘I don’t care’ with the blanket thrown loosely onto the end of the bed. That bit of texture is nice on an all flat bed. This look is all about doing your best in a small time frame but getting it to the point where it’ll do but still looks lovely and is not a total embarrassment. 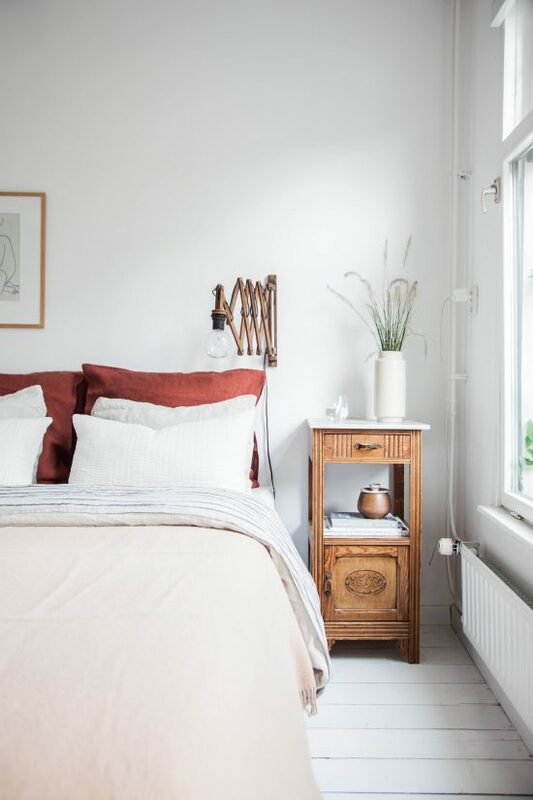 Tip: A flat, outstretched duvet and stacked pillows (particularly in neutral shades) could look a bit dull and lifeless. Add a bit of interest by throwing an accent colour or pattern to the mix and texture. 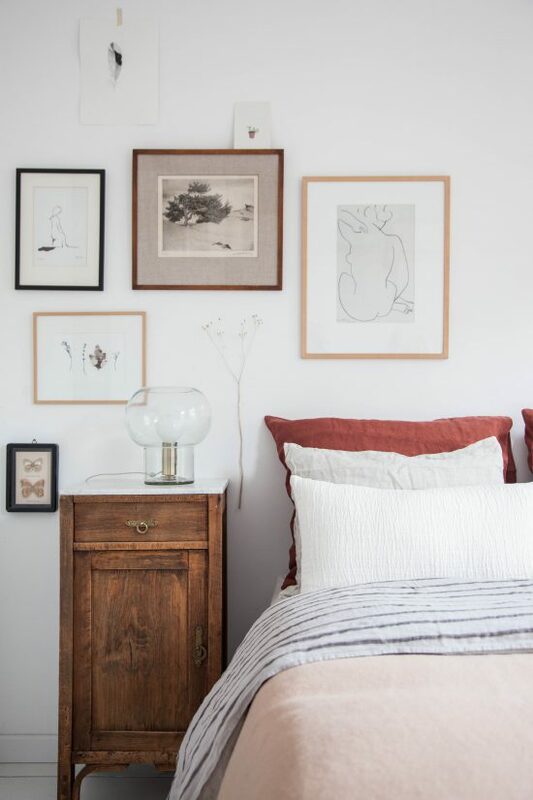 Here I have used rust coloured pillows, a wool blanket in a browny pink colour and a textured cream cushion and they add enough life to make this look lovely but not lacklustre. How to: Remove the duvet and pillows from the bed. Stretch out the flat sheet underneath, tucking it tightly into the sides of the mattress. Grab the duvet at the ends and shake it out twice or three times, allowing it to rest nice and flat not he surface of the bed. Pull the top edge all the way up, place the pillows neatly one on top of the other. Throw a cushion and blanket loosely onto the bed and hit the road! That’s Fancy Pants over there, being a show off. I make the bed like this when a) the queen is coming to visit, b) my mother-in-law is coming to visit, and c) I just got new bed linens and I’m being a show off. I feel like my friends would be intimidated if they saw my bed like this, so I sometimes deliberately mess it up a bit. But every now and then it is fun to just straighten the hell out of your bed. I can’t explain why but getting into a bed made up like this is pure heaven. For some reason the sheets pulled tight like this and the pillows all stacked up against the wall (or headboard) are just insanely good to crawl between. You feel like you’re a human Christmas present all wrapped up and tucked in. But I only pull out the Fancy Pants when it’s a very special occasion, it doesn’t make the cut on a daily basis. Tip: If you’re like me and you like the folded over edge, try using a contrasting flat sheet to add a little unexpected pattern of colour to the end result. 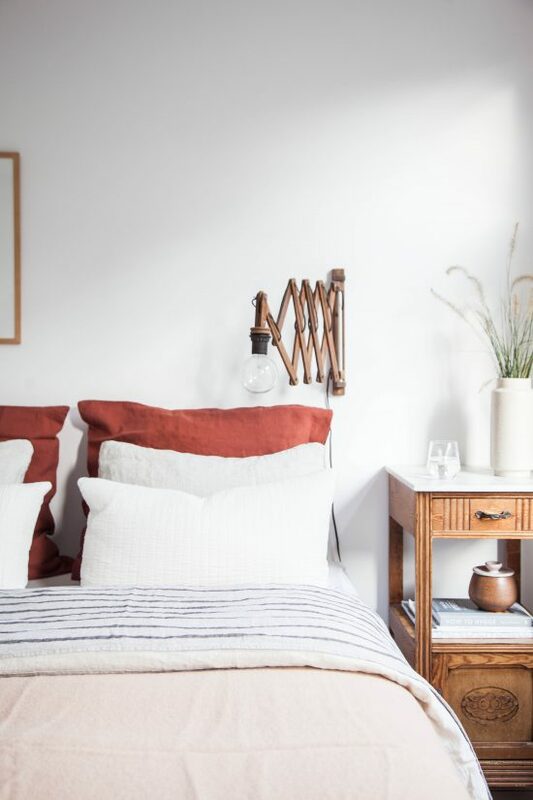 I used a gorgeous striped linen flat sheet from House of Baltic Linen (the same one I used in the Project Hof bedroom makeover recently, love it) and it adds enough personality without being overwhelming. Same goes with contrasting back pillows, a different shade or colour will finish this look of nicely and make it looks really fancy. How to: Remove the duvet and pillows from the bed. 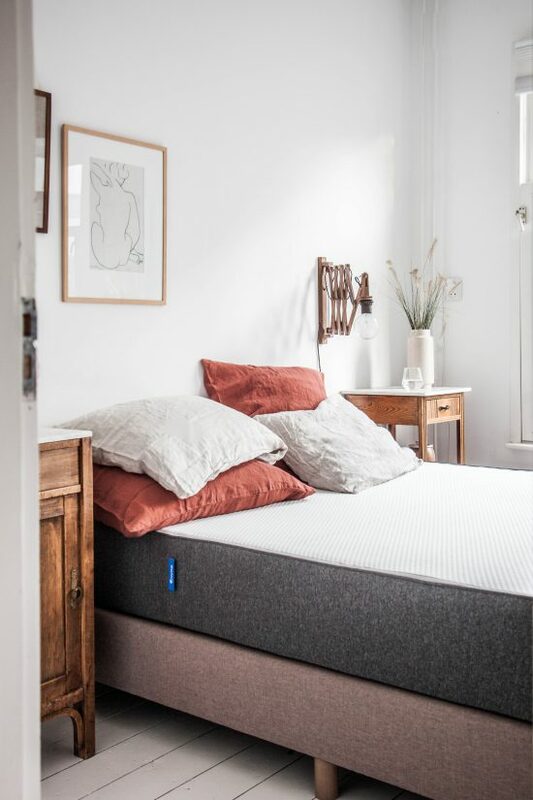 Stretch out the flat sheet underneath, tucking it tightly into the sides of the mattress, leaving about 60cm at the top untucked and laying flat. Grab the duvet at the ends and shake it out twice or three times, allowing it to rest nice and flat not he surface of the bed. Pull the sides so the duvet is nice and taught. fold the top edge of the duvet over as much as you like. Fold the untucked end of the flat sheet over the folded end of the duvet. Fiddle with it until it looks perfectly straight. Fluff the pillows up a bit to get them looking all plump. 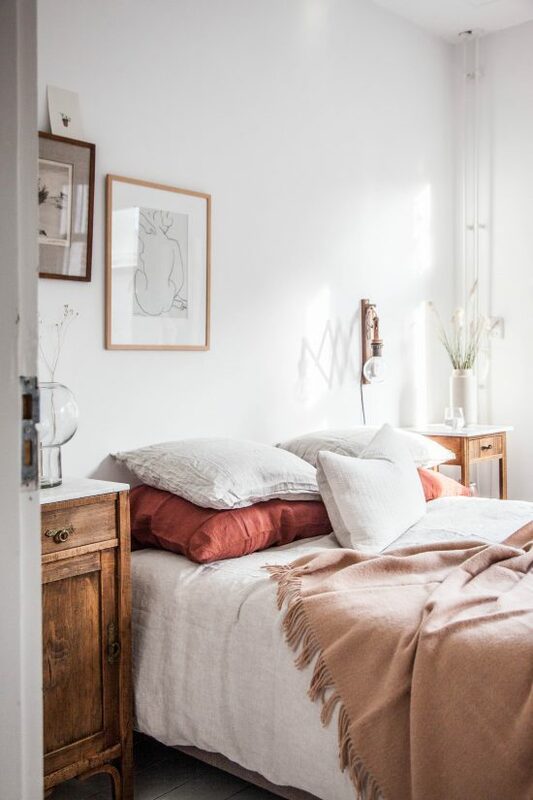 Place the largest pillows neatly against the wall or headboard, the smaller pillows in front of them and a couple of throw pillows in front of those to finish off a neat row of pillows. Shake out your extra blanket and let it rest evenly on the surface of the bed. tuck the top edge under the duvet fold, and straighten out the rest of the blanket so the bed is smooth and uncrinkled. For the rest of the day, day dream about how amazing it’s going to feel to crawl into your bed tonight. So that’s it folks, my three steps to a pretty bed no matter how much time you have! What about you guys? 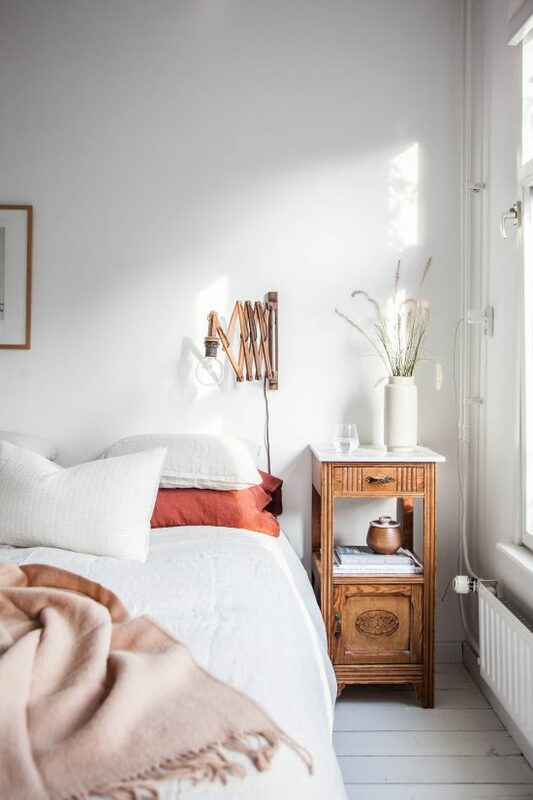 Do you make your bed every day? There are not many people I know that go to this amount of effort weekly let along daily, but I am sure there are others like me out there. A big thank you to Emma Matras for giving me the foundation upon which to layer lovely linen things on top of and for giving us back the rest that we so need during what is the busiest time of our lives. A truly precious gift that we are so thankful for. I’m a mix between num 2 and 3 and I’m absolutely pro bed making too! Love your palette colors, it’s always a pleasure read you <3! Great article! I love the glass lamp on your night stand – can I ask you where you found it? Thanks! Great styling. I was wondering about the sketch of the woman above the bed. Who made it and where is it from? Dear Holly, could you please suggest and style a bed with two duvets one day? It’s often the continental way to have 2 duvets/blankets but I only ever see one king-sized duvet styled. I just don’t know how to properly style mine… Thanks a lot! It’s good to get a fresh way of loinokg at it. I cannot think or work properly if my bed is messy. I do it the 2nd way but i loved the version for the queen’s visit and should give it a try for sure! I love this post! Thanks to your perfectly styled bedrooms I was inspired to get some bed linen at home. It looks amazing but besides that it sleeps divine, so the hubby is happy too ;).. I was wondering where you got the rust coloured pillow cases? I love the colour! Thanks! I also loved this post, as I started to make my bed every day only a few years ago. Before that I thought “why should I make it, when it will be messy again in the evening”. But today it is my morning ritual and it feels so good, when the bed looks good. I have to admit that it started, when I bought my pretty throw from Laura Ashley and then added some nice things from The White Company. I’m in need of a new mattress and I’m very intrigued by the Emma mattress. It is either an Emma or one from IKEA. 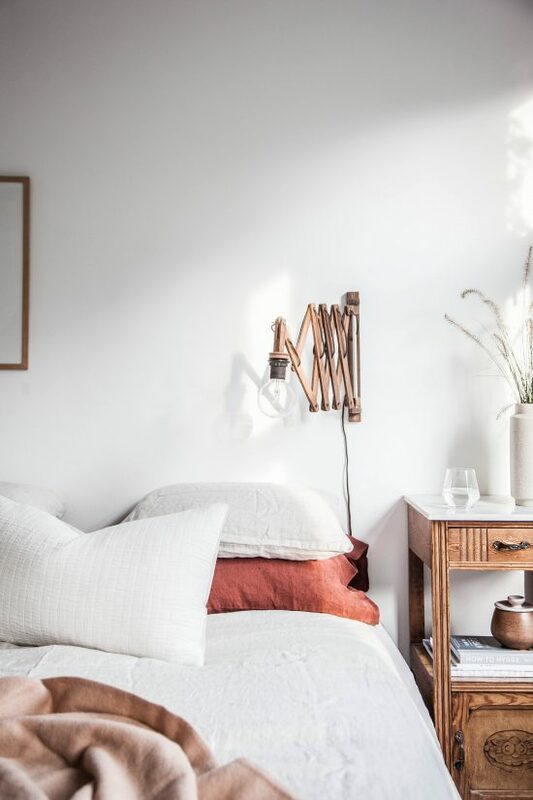 Love it all do you mind sharing where the rust pillow cases are from and the stiped sheets? Where did you get that amazing accordion light? Hi Courtney, that lamp was a lucky vintage find! Where are your night stands from? LOVE them! They’re little antique nightstands I found at an antique shop locally. Look on eBay, you’re sure to find some! Kate, did you have any luck finding anything similar? I am so in love with these! And am on the hunt. 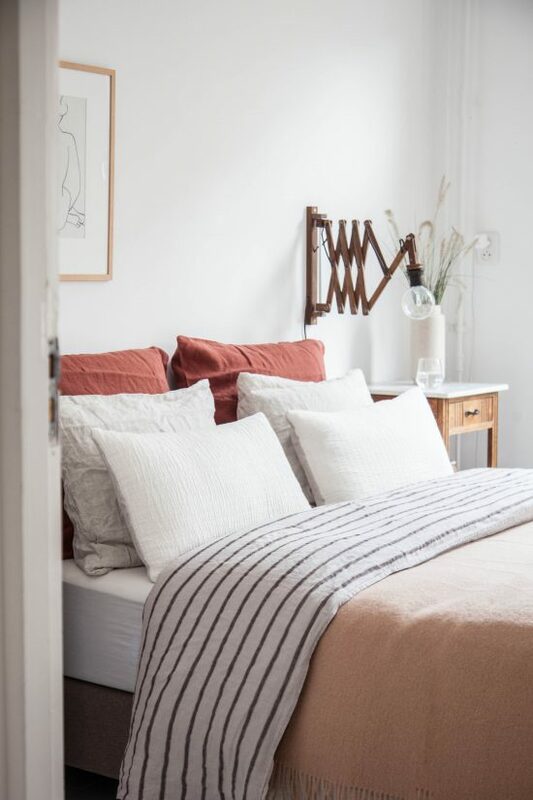 Can you tell me where the striped sheets are from? 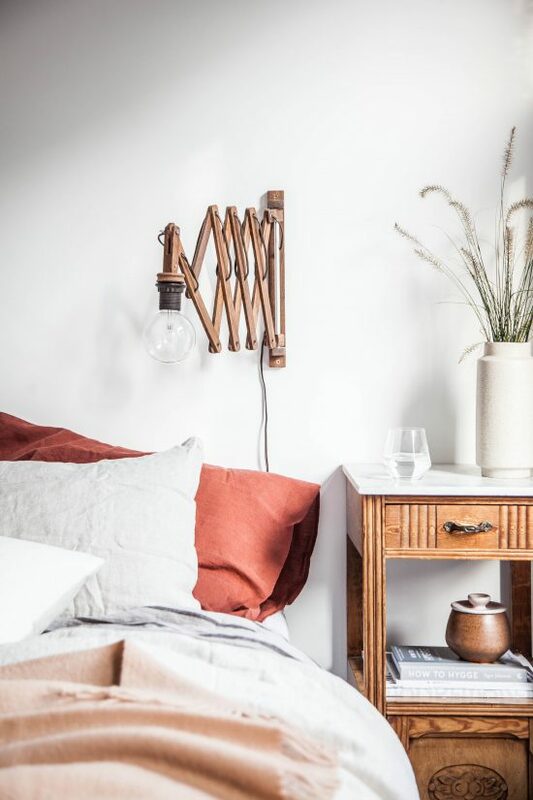 Hi Holly, I love your style and the rooms you put together and interiors styling you do, thanks for putting out there such gorgeous inspiration for us! I love the throw on your bed, what a beautiful colour… are you able to tell me where it’s from?